Gemalto, the digital security company, is piloting a Self Sovereign ID called the Trust ID Network. The main purpose is to prove their identity to many organizations, but still keep control over their data. Gemalto is known as a Trust ID network. Blockchain technology is ideal for supporting digital transactions that are based on trust and verified identities. It is without exposing sensitive data to the problem of hacking. The customer’s user control is facilitated via the ID wallet and also secure mobile app. Users can add their personal information to their digital identity. Gemalto is the platform built to provide users more control over how and when their personal information is shared with third parties. By allowing the freedom to create and manage digital ID, anyone can enroll with the e-commerce, banking services. It is without needing to go through the long and overwhelming process for each of the members. When users enroll with the services from digital banking to Government applications, they are asked to prove their identity. Trust ID is designed for these situations. Today identity verification is risky. Identity documents are vulnerable in transmit either by email or by post. Centralized databases are exposed to hacking risks such as Equifax case. Gemalto serves the telecommunications, e-government, financial services, and information technology security markets. Gemalto is also providing systems and operating systems to manage confidential data and secure transactions. Gemalto specializes in security ranging from software to biometrics and encryption. The company’s revenue exceeds $3 billion, and it has 15000+ employees. Their customers are in Government, automotive, banking and other enterprises. 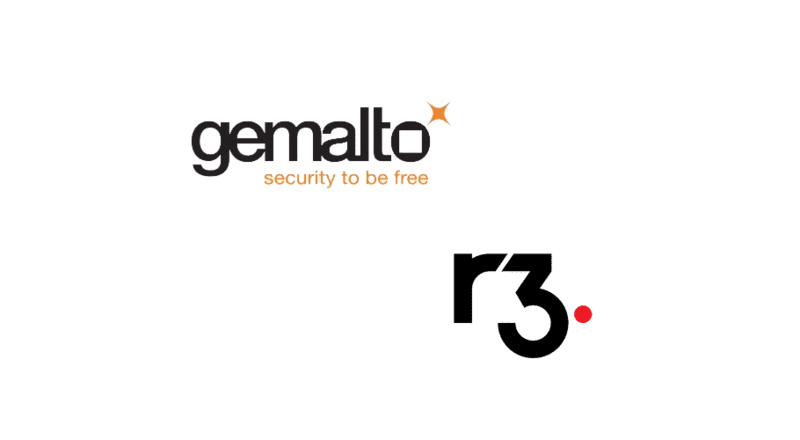 Gemalto deploys its trust ID network app and data protection solutions on the latest version of the Corda platform. It is the world’s foremost enterprise blockchain solutions built by R3. It offers privacy, security and safety and immutability along with a streamlined integration for service providers.R3 works with financial institutions and another partner worldwide.